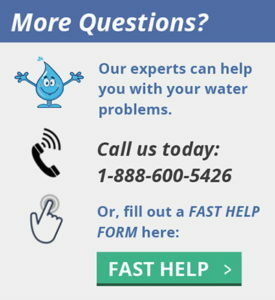 Knowing the basics of how your well water system functions is important when selecting a water treatment system because if the wrong type of treatment system is used, it can adversely affect the water pressure and flow rate inside the home. 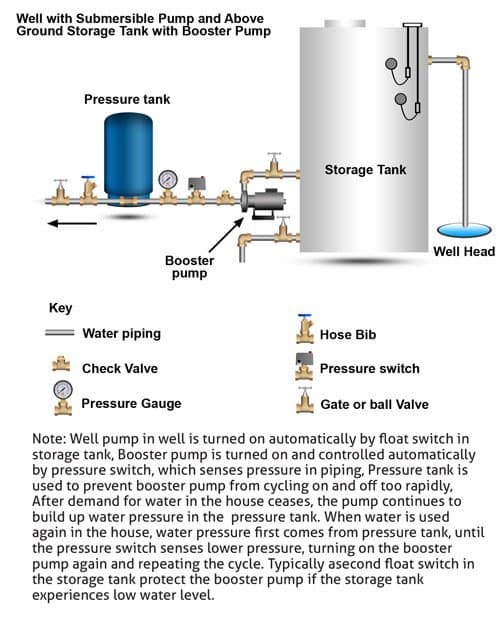 For example, if the well uses a pressure tank, a water treatment system must be installed after the pressure tank, to avoid causing damage to the well pump. 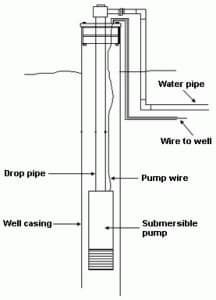 Most well water is pumped out of the ground automatically using a submersible pump, or a jet pump that sits on top of the ground and draws water out of the ground to create water pressure for the home. Some well water systems use a large storage tank to store the water before it is pumped again to the house. Other well water systems are gravity fed, and use gravity to provide water pressure to the house. 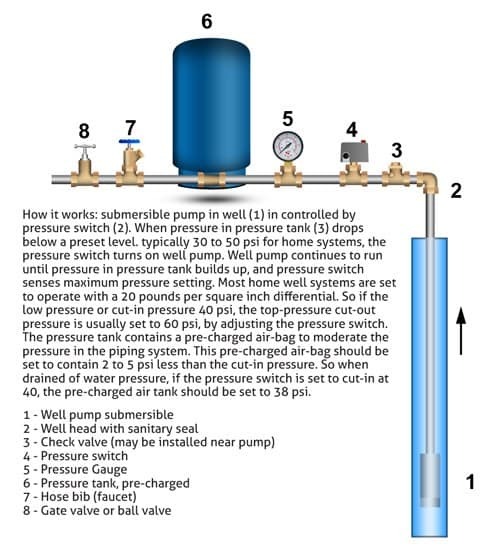 There are many types and sizes of pumps for water systems. Some are only designed to remove water from a source. Others not only remove the water but also force it through the rest of the water system. Some pumps are for special jobs such as boosting pressure or supplying a special outlet. 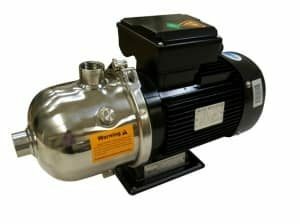 Booster pumps are to be installed after a storage tank, if your pumping installation is not properly planned, you will not receive satisfactory water service. 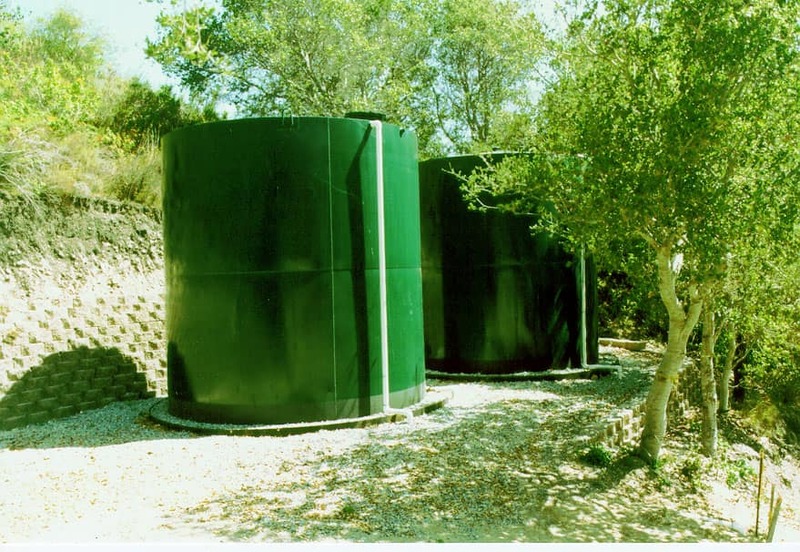 Plain steel tanks – each kind of tank serves a specific purpose. Some well owners like to make arrangements for additional water storage tanks. Generally speaking, additional storage capacity of one day’s water supply is sufficient. Additional water storage is useful when there are power outages and other emergencies. Contact the well contractor who installed your well. 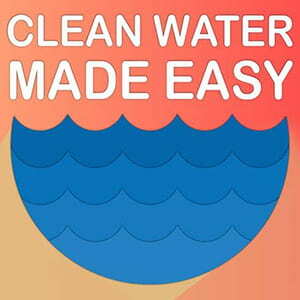 Or find a water well contractor in your area by looking in your local telephone directory. Many states maintain lists of licensed or registered well drillers. Contact your local health department to find out where in your state you can locate a list. Most states also have state water well associations, state well driller associations or state groundwater associations. To get a list of these associations, you can contact the National Ground Water Association at 800-551-7379 or www.ngwa.org. If you still have questions, don’t hesitate to e-mail us at [email protected], leave us a message on Facebook, or use our online contact form for prompt, personalized assistance from our trained professionals. Thanks for reading!